Far from simple white bread of yesteryear, the bread aisle at your local grocer or bakery is a plethora of choices. 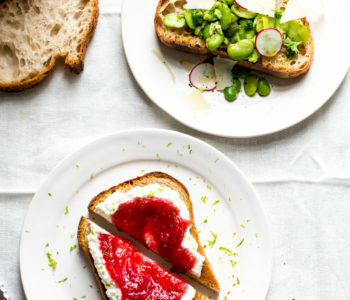 Toast can be the crunchy canvas for so many delicious toppings, so don’t overlook the toaster; use it for creating the perfect base for savory or sweet garnishes. Try an old favorite or create something new. 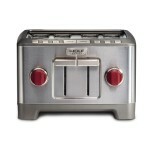 The Wolf Gourmet toaster uses advanced technology for delicious results every time. Yes it’s a trend, and with good reason. It’s a simple, nutritious, and fast breakfast, lunch or snack. 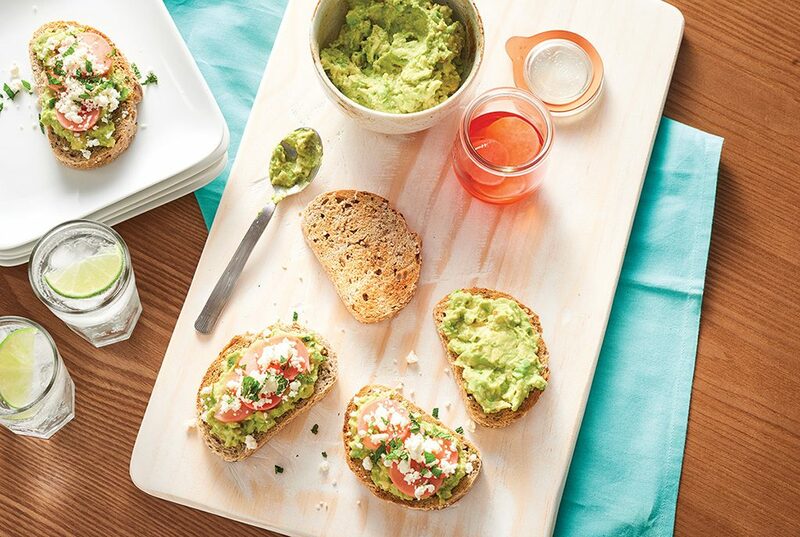 The juxtaposition of the creamy avocado and crunchy toast is a match made in foodie heaven. Plus, take avocado toast as a base and top with something salty such as bacon or something rich and unctuous like a perfectly poached egg…need we say more? 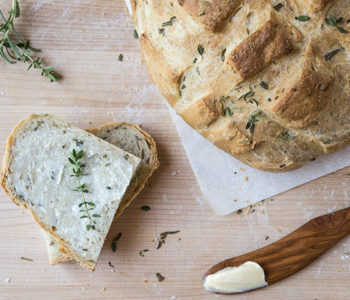 What’s the best bread? After many rounds of tasting, we found that a hearty, whole-grain bread was the winner, preferably one with seeds. The extra crunch from seeds adds even more deliciousness. 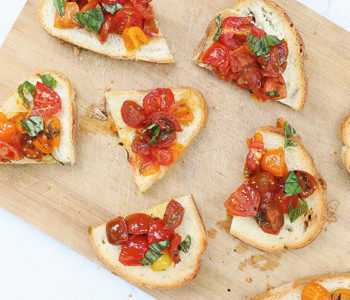 Crunchy slices can be topped with a myriad of combinations besides the traditional bruschetta topping of diced tomatoes, olive oil, and a drizzle of balsamic. 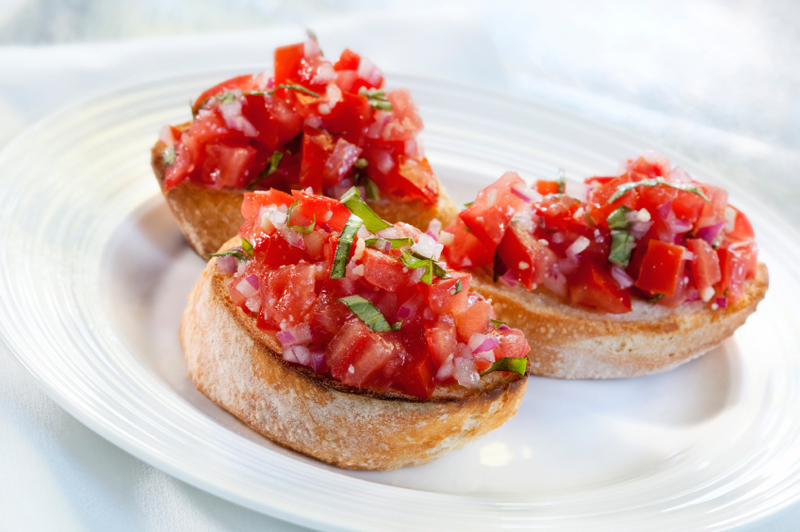 Try our fresh tomato bruschetta recipe below. 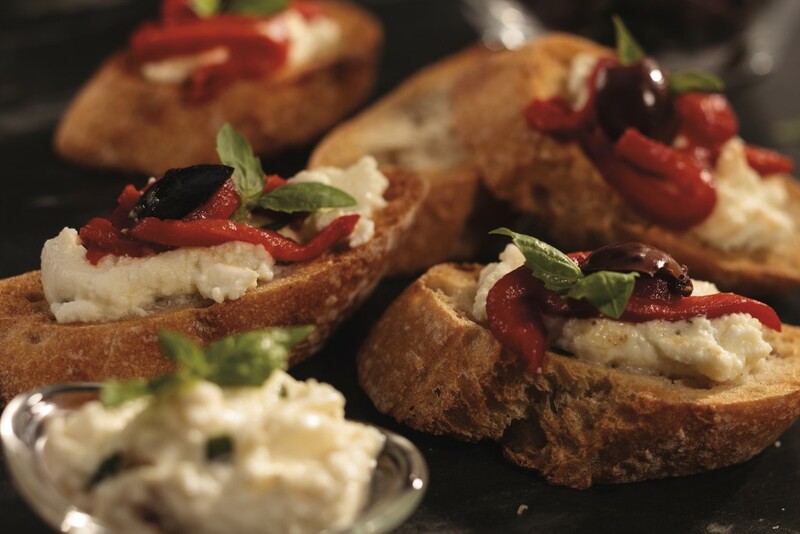 You can also think outside the box – spring peas with ricotta, artichokes and Kalamata olives, or mascarpone, or try a topping of figs and gorgonzola with onion jam. What’s the best bread? Hands down, a fresh baguette sliced on the bias is the best choice. There’s a number of ways to prepare garlic toast. It can be grilled, broiled, or toasted. Use any kind of garlic topping, as long as it’s a far cry from the margarine and garlic salt combination I had to slather on loaves of Italian bread every week at a supermarket bakery as a teenager. Parmesan cheese is a favorite accompaniment. What’s the best bread? Sourdough is a Wolf Gourmet kitchen favorite, closely followed by Italian bread. 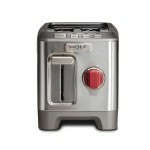 What’s your favorite kind of toast? Make balsamic syrup: In small saucepan, combine balsamic vinegar and sugar and heat on medium high. When mixture starts to bubble, reduce to a simmer and cook for 12-15 more minutes, stirring occasionally, until syrup is reduced by half. Make bruschetta topping: mix all ingredients in medium bowl. Set aside for at least half an hour, at room temperature. 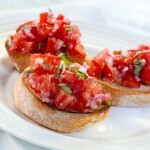 Toast baguette slices, brush with 2 tablespoons olive oil, and top with about a tablespoon of tomato mixture. Drizzle with balsamic syrup. 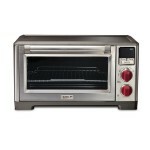 Learn more about Wolf Gourmet appliances and kitchen tools.